@2BitsLP, the map is... a bit wierd. The ground looks more like ice than snow. I don't know if it's intentional to use the ice tile, but you might want to use a different tile for this. @Lihithel, the map looks good, although the main gate could use some re-work. 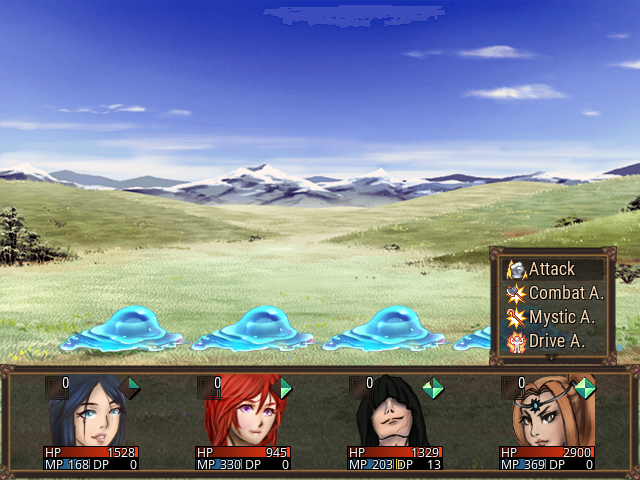 I've polished the UI a bit on the battle system. I've converted the Stamina bar to a gem and moved the windows around. 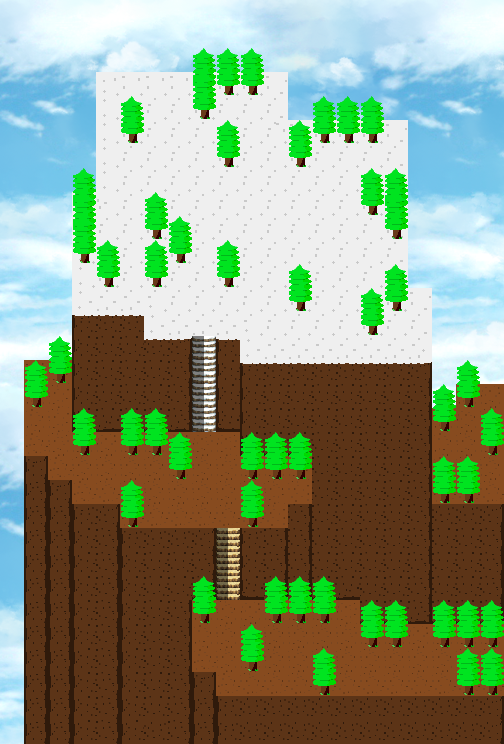 And remade one of the maps to use the new tileset. Ooo.. Glowy,.. For some reason I really like sparkly glowy crystal formations. Overall, it looks great. There's a lot of little detail on the tracks and the metal beams that make everything more eye catching. it looks like a screenshot from a professional studio. 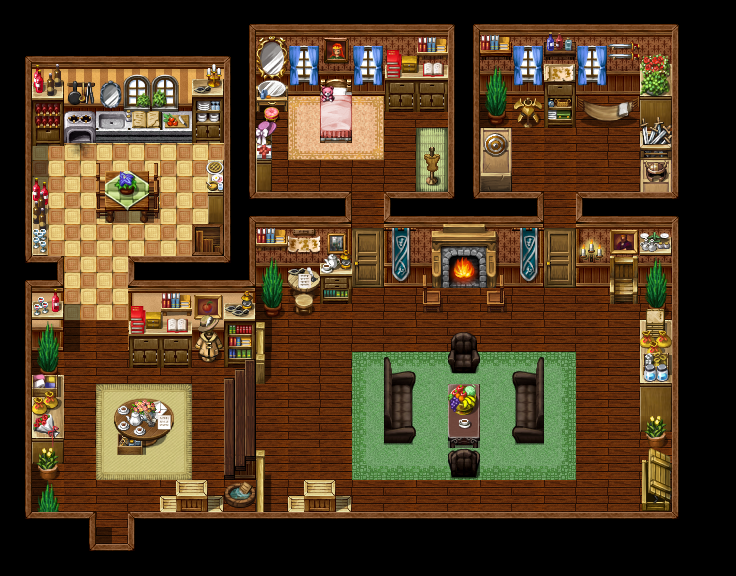 I just wish RPG Maker had dynamic lighting. the lighting looks good though. @Pure Evil Very nice. Personally I hate open or blank space on a map, whether it be open tiles along a stretch of wall, a large open area, or blank walls. It just looks bland and cheap to me, NES era design intuition. I find a lot of dungeons are bland, and truthfully you don't need much in a standard dungeon, but some detail on every last map in your world will make it more memorable, exploration more rewarding, and the setting becomes a character itself. It doesn't take much to throw a few little detail items in here and there, and you've done a great job of that. I immediately noticed the hidden key, and the pair of opposite color levers. My mind immediately went to work, as if I'd just stepped into that map, trying to size everything up and figure out the next step of progress. Excellent work, wonderful aesthetic. 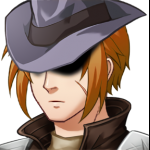 I've been messing around, trying to get something done, since as far back as RPG Maker 95 for the Playstation 1. Never had the time, skill, or commitment to really see a game through to the end. This time I'm going all the way and creating a full game. 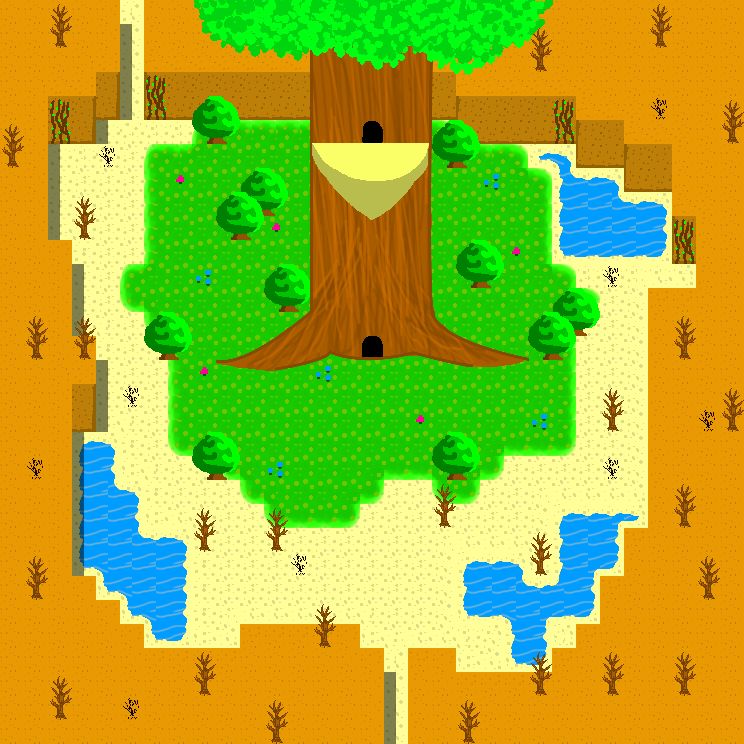 I'm new to VX Ace, so I just sat down and started playing with some tilesets, and tested one on a map. It's a little rough, but I was just getting a feel for it. It's a small fishing village. @Rio: I really like what you're doing here! The only thing I'd say is having been to beach resorts and such, they usually try and build some sort of roads near the buildings and the main hub areas. Maybe you should put some road, even rough one near the marketplace? New level for Save Your Mother which will be a free update. Woah! I like what you've done with the witch there.. so cool! My only critique is maybe add a little bit of tint and maybe a free fallen debris and cobwebs here and there? maybe add some scattered books, a witches cauldron and potions? or maybe she is a witch that likes everything all clean and dandy? idk.. but still great effort! 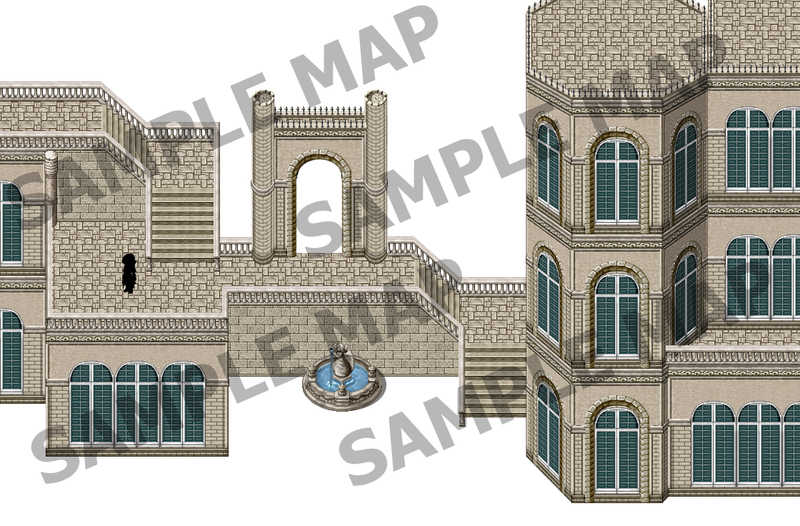 So here is a castle/school map I have been working on and I wanted to know what you think of it so far... personally I am not sure what to do with this (still a work in progress) so maybe you can help me out? 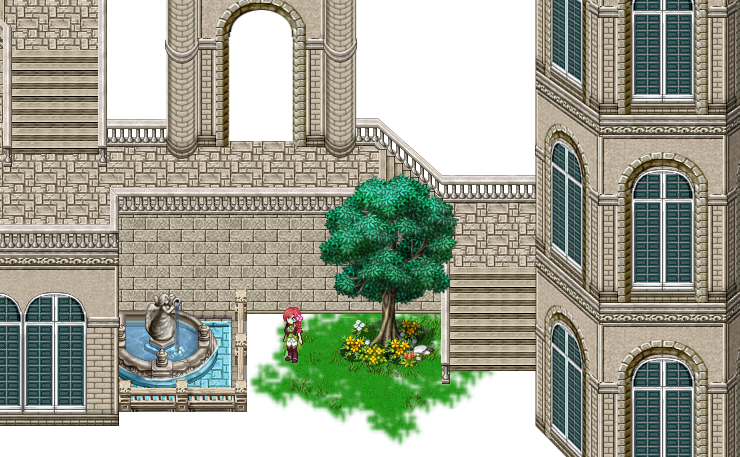 like what should I do with that place where the fountain is etc... anyway, will appreciate your opinion! sorry... 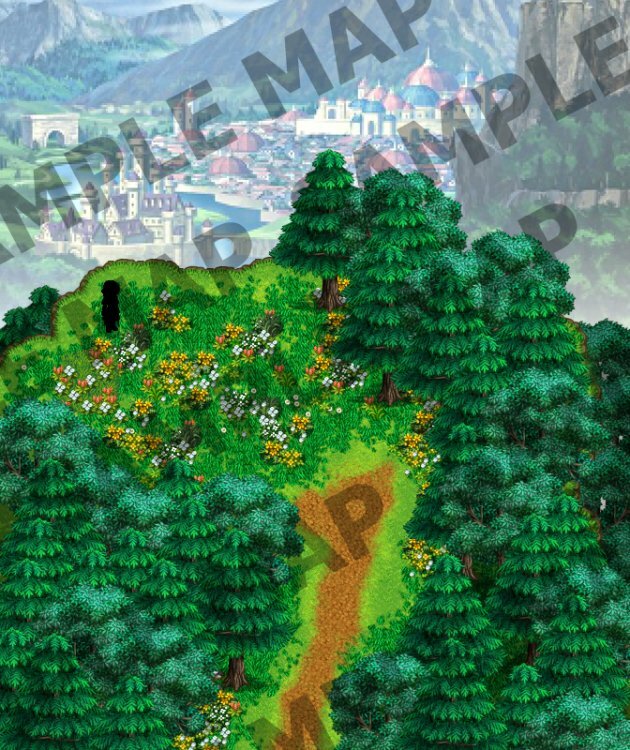 I don't know where the spoiler button is..
and here is a mountain top view where you can see the whole city.. the background image is not mine.. will make one when I feel like making one. With regard to the castle/school map, I think you should move the fountain out a bit because it destroys the perspective if you put it too close to the wall. @l'insomnieThe forest map is gorgeous. I would worry about the player's movement capacity though if you're using RM. So, since the path is slightly diagonal its going to draw attention to the players inability to follow it (or maybe that's just my inclination when walking) as they can only walk straight or turn sharply (even the eight-way movement script is too limited to eliminate this potential issue) . When I notice this in games it creates this dissonance between the world and the character who is supposedly walking in it; perhaps this effect can be consciously used to some purpose but in most cases is probably best avoided. @Chadzter01 thanks for the critique! yeah... maybe I should just make a fountain from scratch and make a BIG fountain instead! 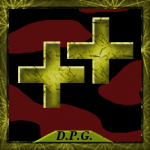 (after I made this new one.. didn't like how it look..
@TsarminaI know!!! It has been AGES!! HOW HAVE YOU BEEN? 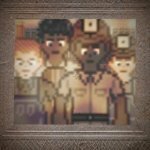 Did you use the school I made in your game, I wonder? So regarding the fountain... maybe it'll look better if I just make one from scratch? like what you said incorporate the fountain into the wall and make it BIGGER! Or maybe just make a new exterior.. I don't know... (this is what I get for not drawing it on paper THEN make the final design, lol). and about the trees.. yeah, maybe I should play with the hue's just a tad bit to make it more natural looking,..
@Tarqregarding the slightly diagonal pathway I'm actually considering making a slightly straight path (just realized how stupid the character looked when walking through it) so I made some changes to the map! yeah.. best to avoid it as much as possible! thanks for all the critique.. still working on my mapping skills and hopefully get better at it! yeah... deciding to just make a big fountain here instead.. 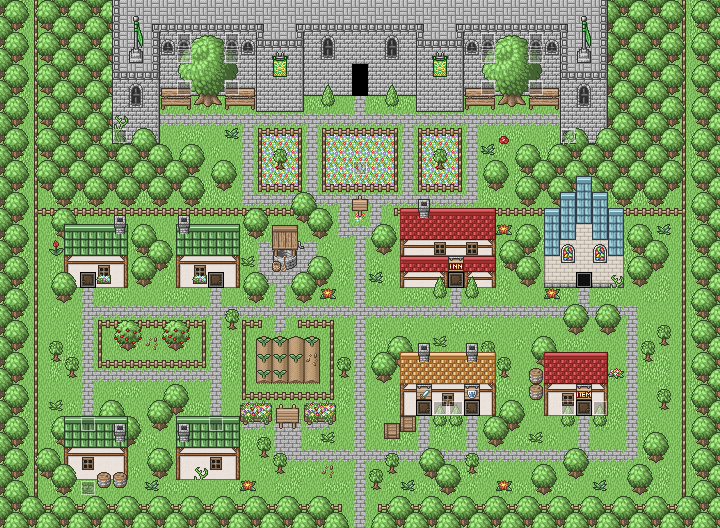 Here's a little screenshot of one of the few towns. 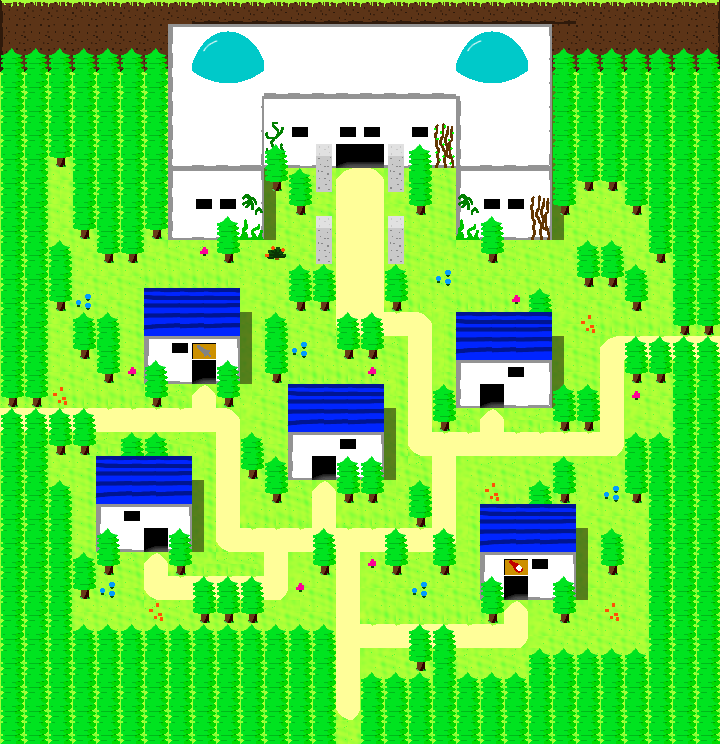 It's supposed to be a tiny kingdom in the middle of a forest. though, I'm not happy with this, it looks over-detailed to me what do you think? Could someone critique my current tileset, since ive never gotten third party criticism before. 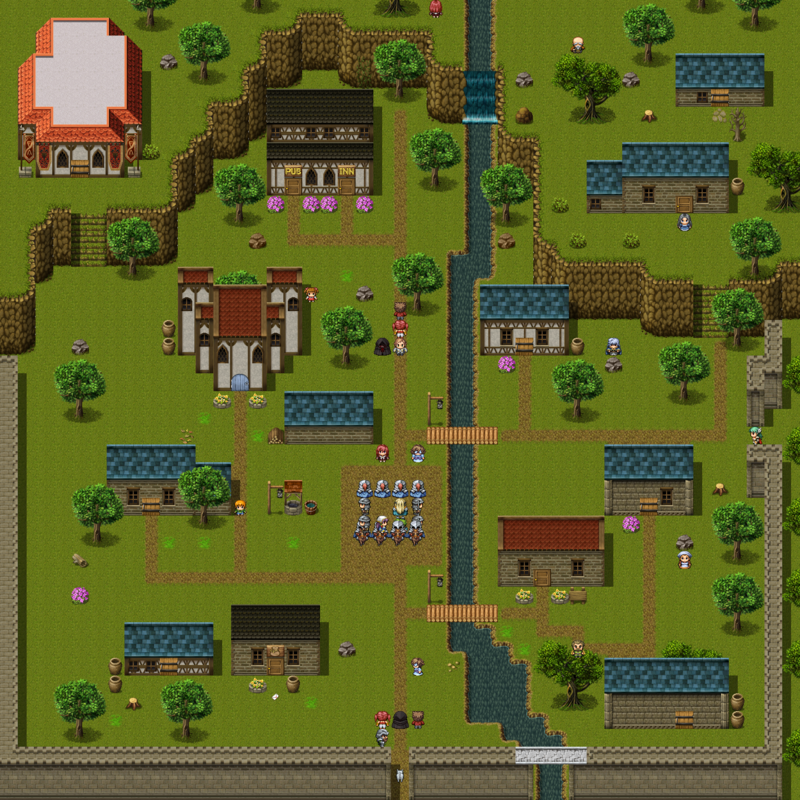 @Crescent - I love your style it is very retro and reminds me of some of my favorite old-fashioned RPGs. I do have a small critique, the trees come way to close to the castle, like sitting on top of it a bit, even despite that if you had to build a huge stone castle in the middle of the forest you'd have to do some extra clearing out, so the trees would honestly not be that close. I do think it has a lot of promise though. @BornoutofCore - I like your style, it is very simplistic and has a strong MS Paint feel, which is not really a bad thing if you keep consistent. I do think you could use a bit more variation on your maps, if you are doing this via parallax then you have a lot more control than the average map builder if not then perhaps creating a bit more options to use in the map would help you. Also, one major thing I noticed is that you lack shadows, your trees have shadows, and shading, but do not cast shadows which really stands out in my eyes. In fact, the only shadows I do see are the ones that the editor places from walls automatically. I actually changed a bunch since then. I thought the cuteness didn't fit with the horror. I want to add a few more clutter to this part of the map. It's meant as Sudyg Forrest, which is partially evergreen, partially deciduous. I been trying to think of another kind of tree to add to both parts. Something about this comes together for me. Brings me back to old NES RPGs, down to the straight forward layout of the town, and the weapon and armor shops being in the same building. I love it. I'm feeling these custom graphics. It all comes together to create a unique aesthetic, and with RM, that is priceless. I envy your skills, good sir. Mapping is something I practice a lot, but it's not my specialty. 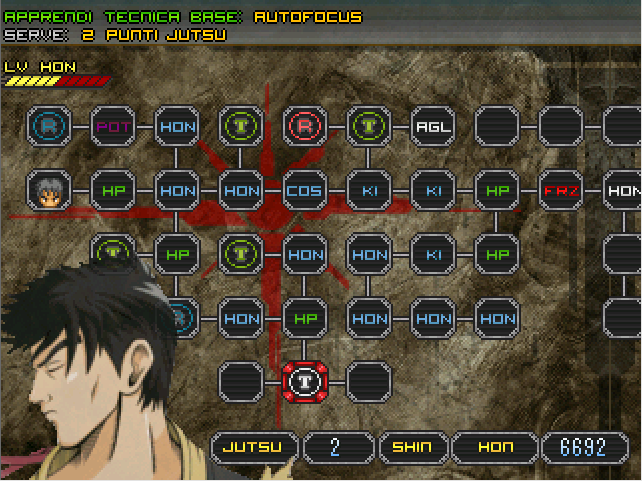 One thing I consider myself good at is Interior mapping. 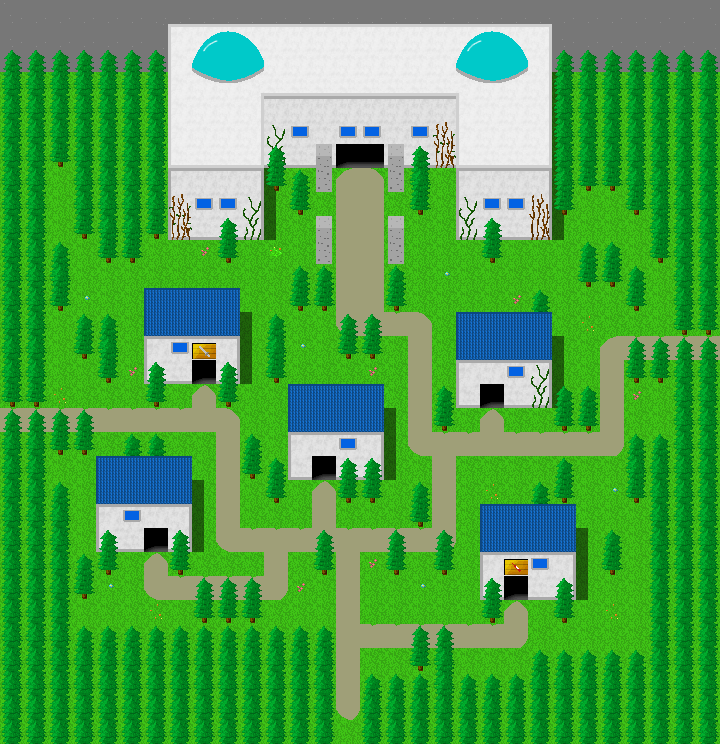 This is the home of 2 main characters from one of my projects called Overworld. I pride myself on a certain level of detail. I like to take any opportunity to characterize and speak to the player through the physical world. Here you can see that Mia has adjusted to this new lifestyle, whilst Xander seems to miss pirate life.